The Bhutanese are very proud that they avoided colonization by the British and that they were not gobbled up by a larger more aggressive power as was their northern neighbour Tibet by China. But the incorporation of Sikkim into India in 1975 still haunts Bhutan’s leaders. Sikkim was a semi-independent state whose indigenous Buddhist population was outnumbered by immigrants from Nepal and which in turn precipitated the Indian takeover. The Bhutanese are understandably jittery that something similar could happen to them. In the last half century hundreds of thousands of Nepalese fleeing grinding poverty in their own country have settled in Bhutan’s lowlands. In the 1980s, Bhutan’s king began a one-nation-one-people campaign to protect its sovereignty and cultural integrity, which pretty much excluded ethnic Nepalese. Their protests in the 1990s resulted in a harsh crackdown by authorities, leading to the expulsion or voluntary migration of over 100,000 Nepalese, a good number of whom were Christians. Many of these people now live just across the border in India and are demanding to be recognized as Bhutanese citizens. Evangelical Christians have long wanted to get a foothold in Bhutan and see Nepalese within the country and those expelled from it and now living in India just across the border as a means of doing this. These Nepalese are for the most part divorced from their Hindu roots, illiterate, desperately poor and thus easy targets for Christian conversion efforts. These missionaries are well-funded, superbly organized and absolutely determined that Bhutan will be the next ‘mission field’. 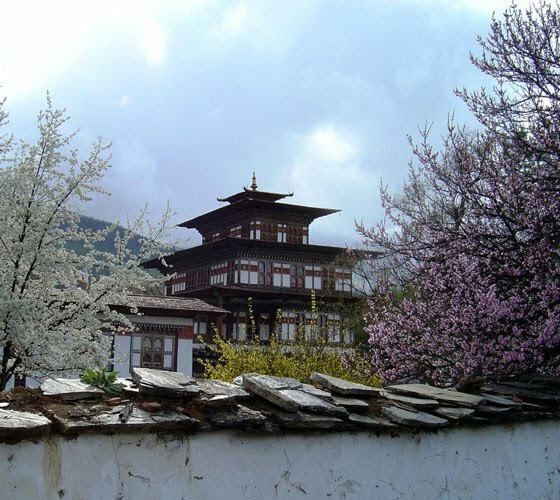 The Bhutan’s constitution, adopted in July 2008, requires the state to protect country’s cultural heritage and declares that Buddhism is the spiritual heritage of Bhutan. The tragedy of this situation is that the missionaries’ agenda may require the world’s youngest democracy to limit religious freedom in order to carry out its constitutional obligations and preserve its unique culture.